Assuming Donald Trump agrees to show up for the next two presidential debates after his uneven performance on Monday, moderators should raise an urgent issue neglected in his first encounter with Hillary Clinton. Meanwhile, Russia and the Syrian regime, backed by Iran, are continuing to pummel the ancient city of Aleppo. Once Syria’s most populous city, this jewel of medieval Islamic architecture and home to ancient Christianity has been largely reduced to rubble in the eastern sector held by groups opposed to the regime of Bashar al-Assad. There are still a quarter of a million people in this area, many of them innocent civilians. 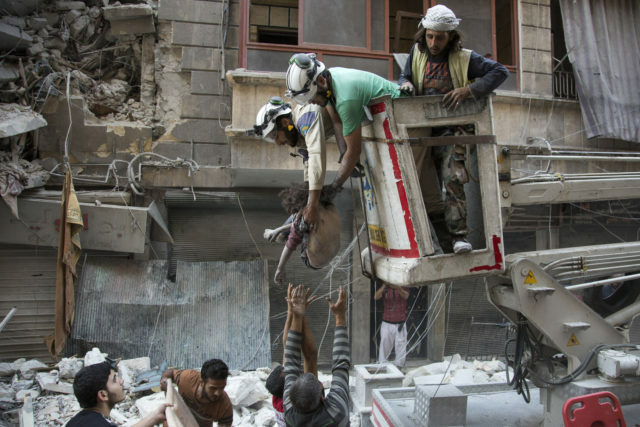 At an event Tuesday at the Atlantic Council, Raed al-Saleh, head of a group called the White Helmets that tries to save victims of regime attacks, said there had been 1,700 air strikes in the last eight days on eastern Aleppo that had killed 1,000 people – adding to a five-year toll in Syria approaching half a million fatalities. Many more people will die, he said, unless the severely injured can be evacuated to Turkey and the air strikes and barrel bombs stop. But Obama went on to dispute suggestions that he could have done anything differently, from providing more weapons to rebel groups of questionable ideological persuasion to bombing Syria after it used chemical weapons against civilians indiscriminately in 2013. During Monday’s debate, moderator Lester Holt did not ask Clinton or Trump what they would do to try to change the dynamics of the Syrian conflict. The first presidential debate between Republican nominee Donald Trump, left, and Democratic nominee Hillary Clinton, was held at Hofstra University in Hempstead, N.Y., Sept. 26, 2016. Clinton has said that she would back creation of a no fly zone in northern Syria, but on Monday she focused on intensifying U.S. air strikes not on Syrian airfields and Syrian and Russian planes but against ISIS. The United States should also support “our Arab and Kurdish partners to be able to actually take out ISIS in Raqqa,” push ISIS out of Iraq and kill the group’s leader, Abu Bakr al-Baghdadi, the former Secretary of State said. As for Trump, he accused Clinton of allowing ISIS to form by agreeing to withdraw U.S. combat troops from Iraq in 2011. The New York real estate baron, who’s normally allergic to nation building, said the Obama administration should have left 10,000 troops in Iraq. That would have violated a withdrawal agreement reached with Iraq under the George W. Bush administration. Trump also displayed inconsistency when he commented at one point that “We cannot be the policemen of the world” and complained that the U.S. had spent “$6 trillion” on various wars in the Middle East when, he said, Washington should have building new infrastructure at home. 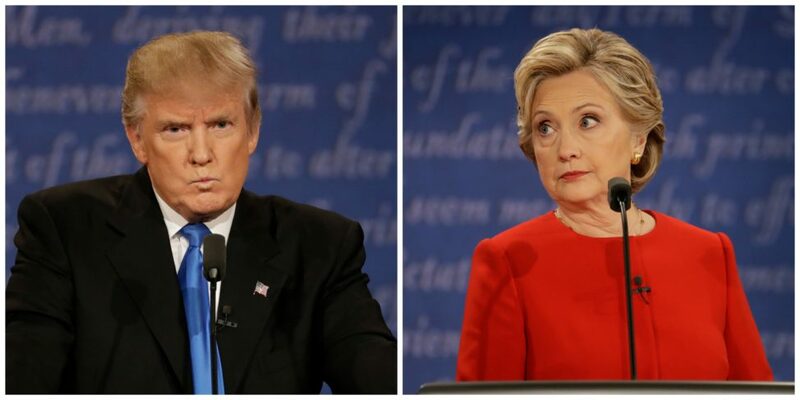 Trump also suggested that Clinton had been “fighting ISIS your entire adult life,” even though the group did not emerge on the public stage until 2014 – more than a year after Clinton left the State Department. And he returned to a favorite theme, arguing that if the U.S. had only “taken” Iraq’s oil – in contravention of international law – ISIS would not have been able to form and finance its activities. Trump’s coziness with Russian President Vladimir Putin does not bode well for a tougher U.S. stance against Russia’s policy in Syria if the brash New Yorker manages to win the Nov. 8 elections. As for Clinton, her hawkishness on Syria may be tempered by other crises, not least more terrorist acts in the United States influenced by ISIS or the al-Qaeda affiliate in Syria, the Nusra Front. Russia has proposed joining forces with the United States to fight these groups and asserts that they have infiltrated the so-called moderate opposition backed by the West. Given current trends on the battlefield, it is possible that the next U.S. president will face a fait accompli should the Assad regime succeed in crushing the opposition in Aleppo and other pockets of rebel support in key areas of Syria. Aleppo would then join Srebrenica and Rwanda in the annals of crimes against humanity that might have been prevented.